A common complaint among senior living providers is how to fill empty beds. Vacant beds compete with payroll as the biggest expense at assisted living facilities. Many assisted living residences withstand rates that run 10% – 20% in an extremely competitive industry. The main reason why facilities can’t fill beds quickly is that they have no marketing strategy. Since filling beds is the primary means to generate revenue, your new marketing efforts must center on scheduling regular tours of your facility to move customers in. Like real estate agents, external placement agencies act on behalf of providers showing potential customers the lay of the land of each suitable assisted living community. 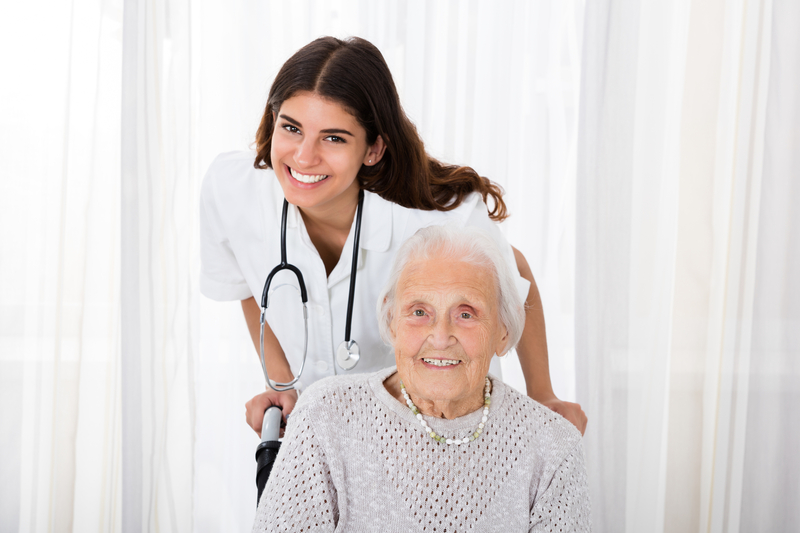 Staff of external placement agencies are called senior living consultants. Some are sales and marketing professionals, while others are social-service workers who help seniors make decisions on healthcare. Senior living consultants (SLC) are a big help to assisted living facilities performing intermediary services for potential residents and senior care providers. Pros: Senior living advisors do the leg work for senior care providers, freeing-up their time for other marketing efforts. Cons: Outsourcing can be a hefty expense for small assisted living operators. If the cash flow (or net operating income) from hiring a placement agency is less than stellar it is often not worth the investment. In residential care communities, the sales staff perform duties similar to outsourcing agencies. In smaller communities, the administrative staff get involved in the marketing efforts arising from customers’ inquiries. In larger communities, the sales team directly promote the facility’s amenities to hospital personnel, community groups, social clubs, and religious organizations. Some facilities use a customer relationship management (CRM) system to track their leads while others track on paper. Pros: With an in-house sales team, focus is on generating leads tailored to the goals of the facility. More control over marketing costs and lead generation lowers monthly expenses and improves revenue. Cons: Time and money are invested in marketing campaigns involving teams who might not have the requisite skills for marketing. Senior Service Maps was created by a senior care provider, in conjunction with senior care social workers, to provide a free streamlined search for families and other social workers in their quest for care/services for Seniors in need. We at senior service maps pride ourselves on removing the middle man; no more referral agencies charging up to 100% for a placement to your facility. Pros: With a low membership fee of $24.95 per and the ability to cancel at any time one referral from ssMaps.com could pay for itself for over 11 years. Cons: You have to have some minimal technical experience to create your profile; However the representatives from ssMaps.com will create your profile with no fee. A referral network is an important catalyst that drives potential clients into the community. This network consists mainly of professionals in healthcare, deemed your best source for referral. Even after robust marketing campaigns have stabilized, a referral network passively works to meet your high occupancy goal. Design a marketing plan that targets healthcare professionals in elder care services, including gerontologists, nurses, and social workers. Provide a referral network with updated brochures and contact information. Schedule regular visits to community centers and introduce yourself. Link with local associations that serve health care providers. After securing leads, schedule regular tours of the residential property. Make community visits memorable. Gain the trust of potential customers by showing genuine care for their welfare. Engaging Administrative Staff: Your administrative team has an important role in greeting and meeting visitors taking time to answer questions and allowing visitors to get to know the team. If your community is selected, your team are responsible for the quality of care of elderly loved ones. Exposure to culture and food: Schedule times optimal for tours, often during calmer periods of the day. A good time to expose visitors to the cultural environment is during meal service when senior residents socialize with one another. This time is also suitable for potential residents to try meals and integrate into the community. Safe and clean surroundings: visitors who see evidence of a safe and clean environment are more likely to develop a sense of trust in the community. Security is a vital component of trust, and just as important is the comfort of loved ones in your care.